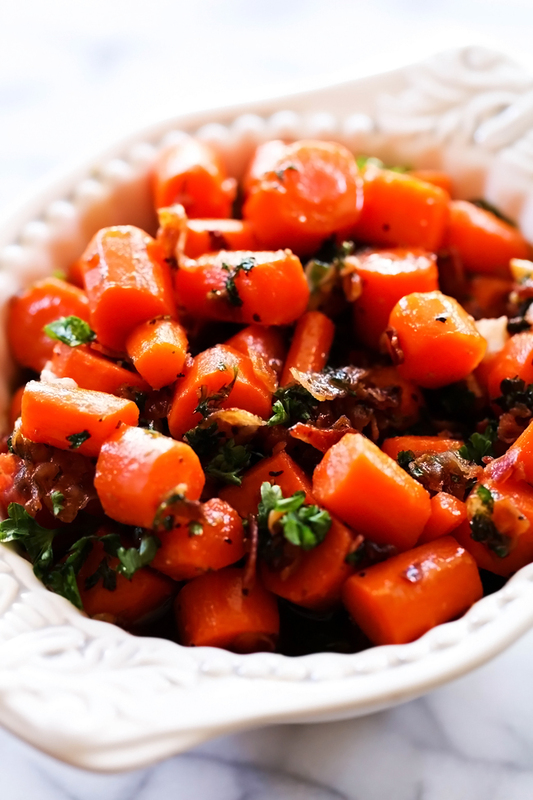 These carrots are packed with flavor! 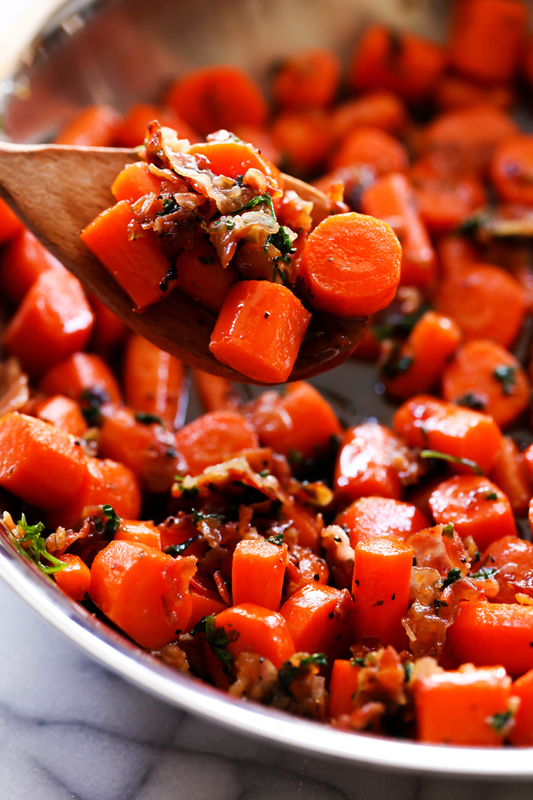 With a delicious maple bacon glaze, this carrots will be sure to be the biggest hit at the dinner table! With Easter fast approaching, the dinner menu is on my mind. Particularly the side dishes. Regardless of the occasion of the main dish, I am always on the hunt to try and create new side dishes that my whole family would love. This particular carrot recipe knocked it out of the park! It is one of the best side dishes I have ever had! The maple-bacon taste is PERFECTION! The parsley adds a refreshing ingredient to the sauce and each bite becomes a flavor explosion! I love a good veggie side dish and this is a new favorite! Put this at the top of the list of recipes to try, you won’t regret it! This is one side dish you don’t want to pass up on! Trust me, the flavor is out of this world! In a large skillet melt butter over medium high heat. And add carrots and water and bring to a boil. Add maple syrup, brown sugar, garlic powder, salt and pepper. Reduce heat to medium low and cover with lid. Cook for 8 minutes stirring occasionally. Remove lid and cook for 3 more minutes until carrot are tender. 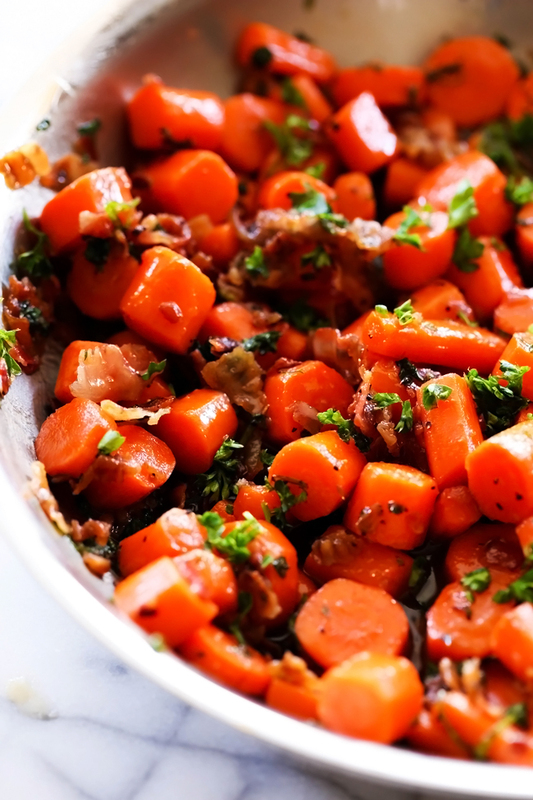 Stir in bacon and parsley and serve. These look so delicious! I do the same thing except with brussel sprouts but I never thought about doing them with carrots!